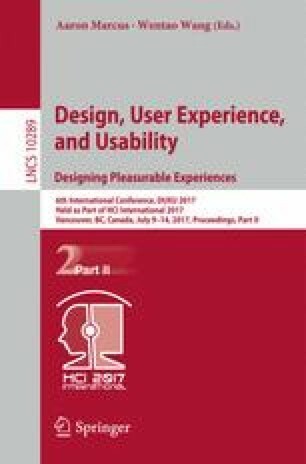 Auditory user interface (AUI) or experience is the most representative domain of the emotional elements with a product that can give a user differentiated experience. Providing information through auditory sense, AUI is a very important element be-cause it renders esthetics, significance, and usefulness to its users, and unity and corporate identity to companies. If there is an AUI guideline to emotions that can be commonly applicable to products, refined user’s auditory experiences can be designed and provided based on it. In this respect, the present study has the purpose of developing an AUI guideline that can explain what sounds should be provided by a certain emotional concept of a product. To develop a guideline that can be applied widely, this study carried out an experiment on users, focusing on ‘beep’ sounds, which are often used for a product. A total of 21 sound samples were created and they were tested in 269 participants. The results demonstrated that emotion is closely related to the number of sounds and chords. More specifically speaking, emotion responded differently to chord types. In future, it is necessary to conduct a study to see the connection between each emotion and product functions agreeable to it as an advanced academic attempt.